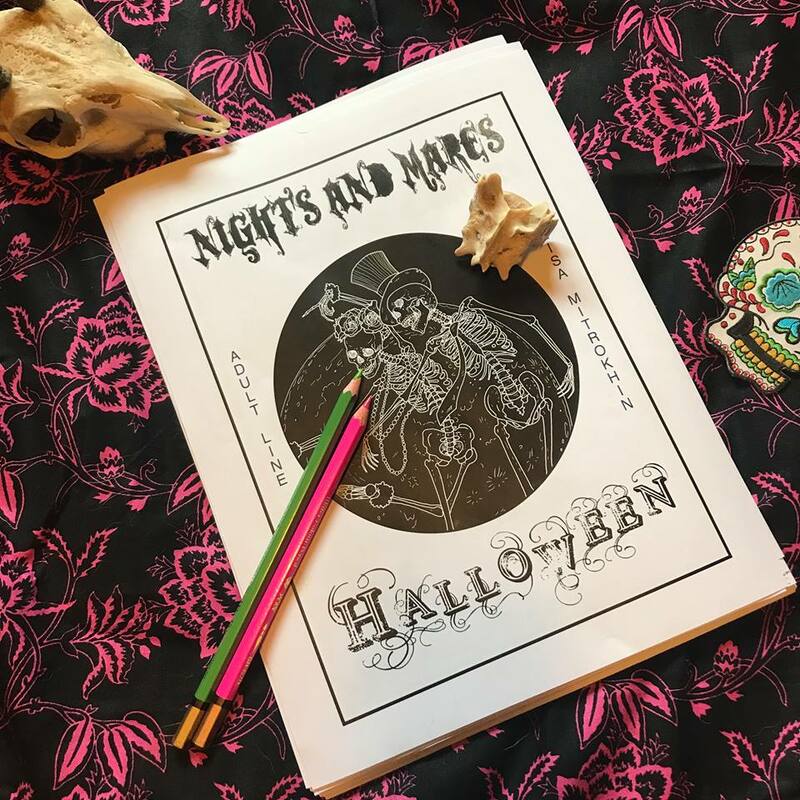 Dear colorist, in this volume I invite you to explore yet another chapter of the Nights And Mares universe. 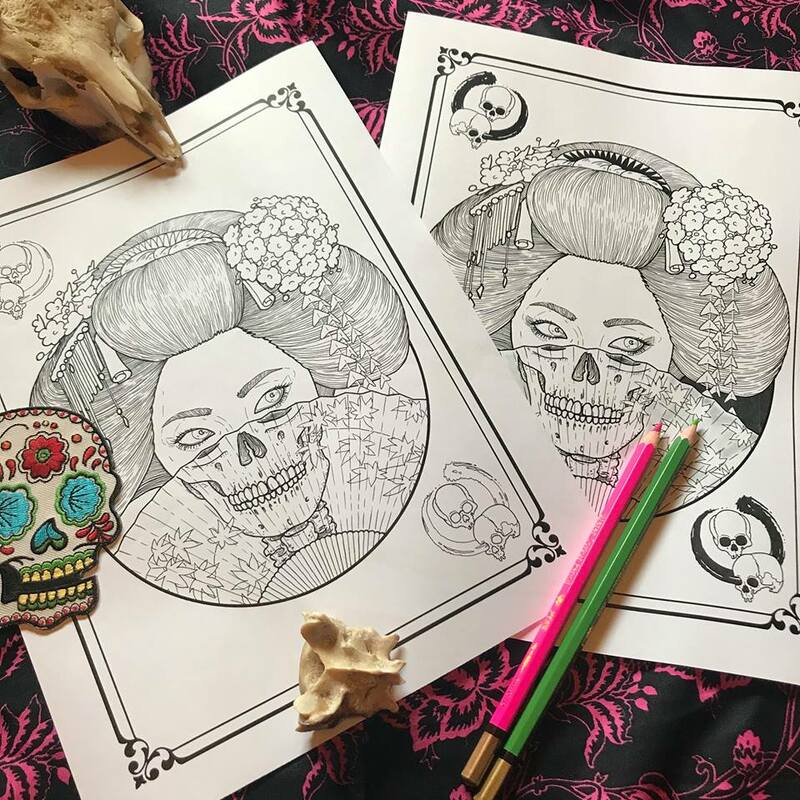 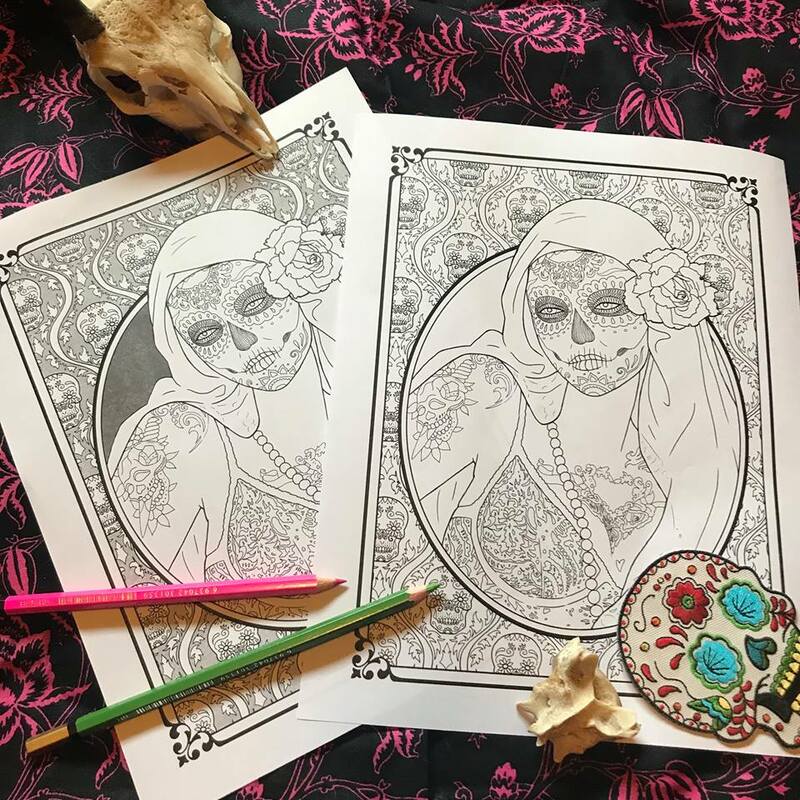 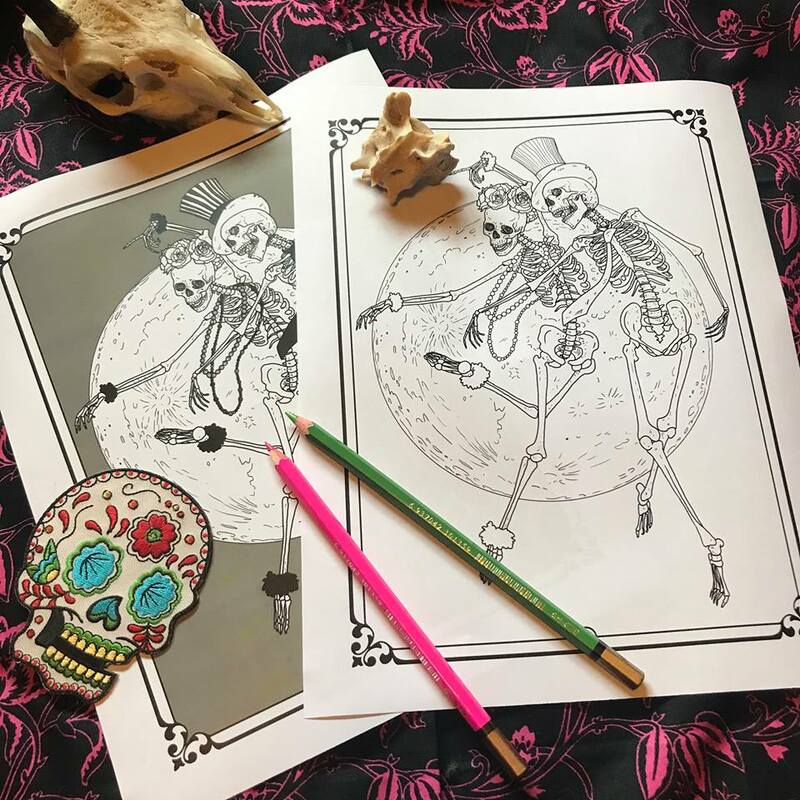 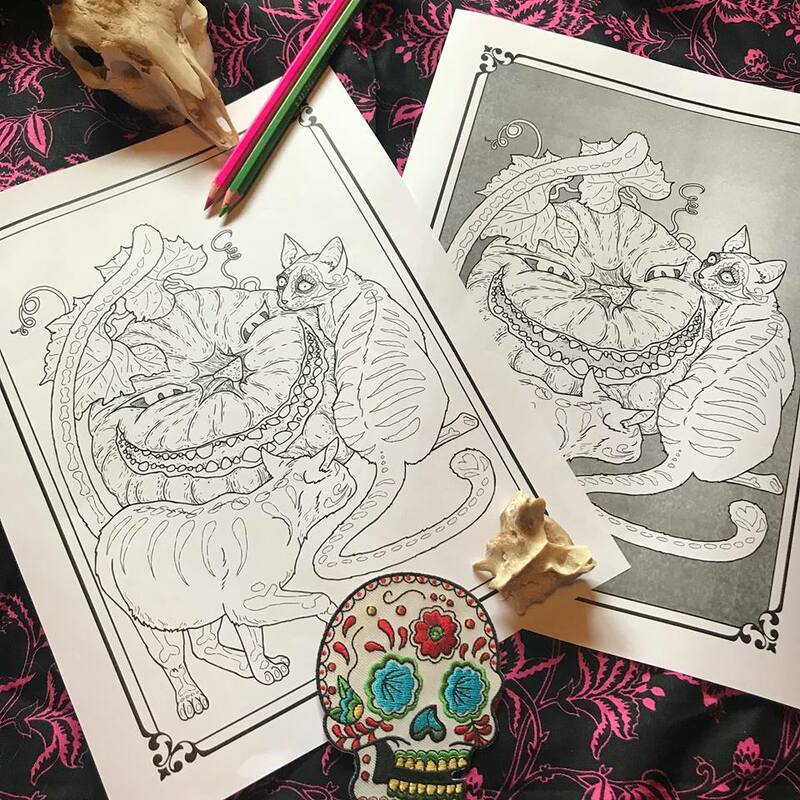 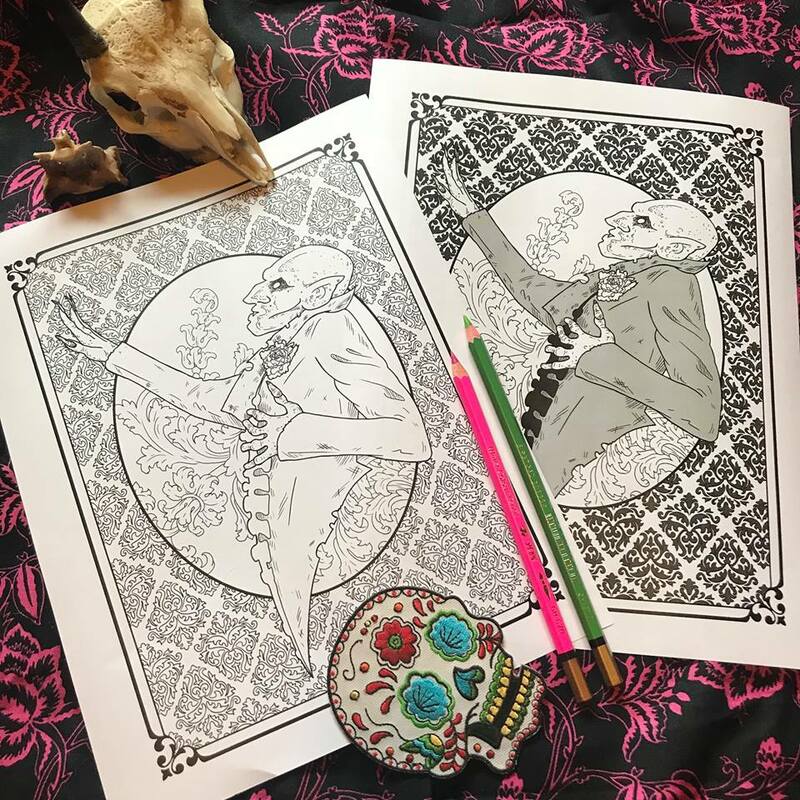 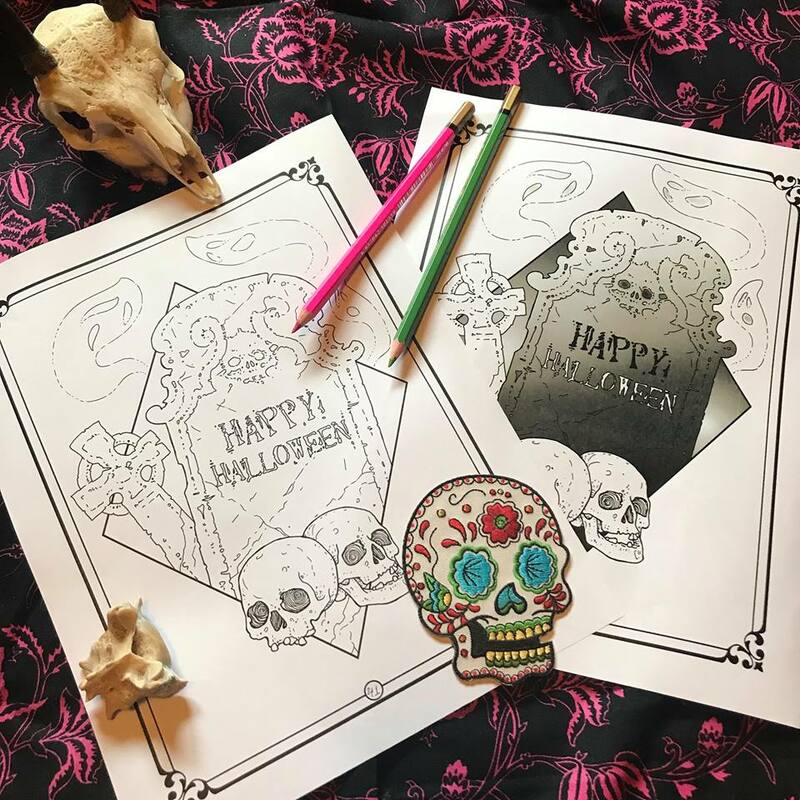 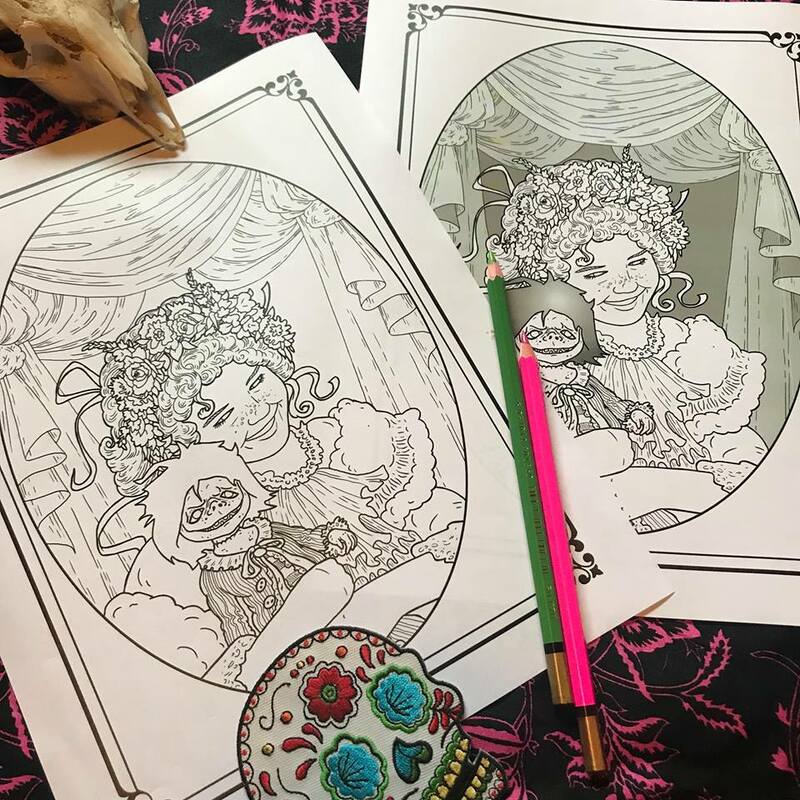 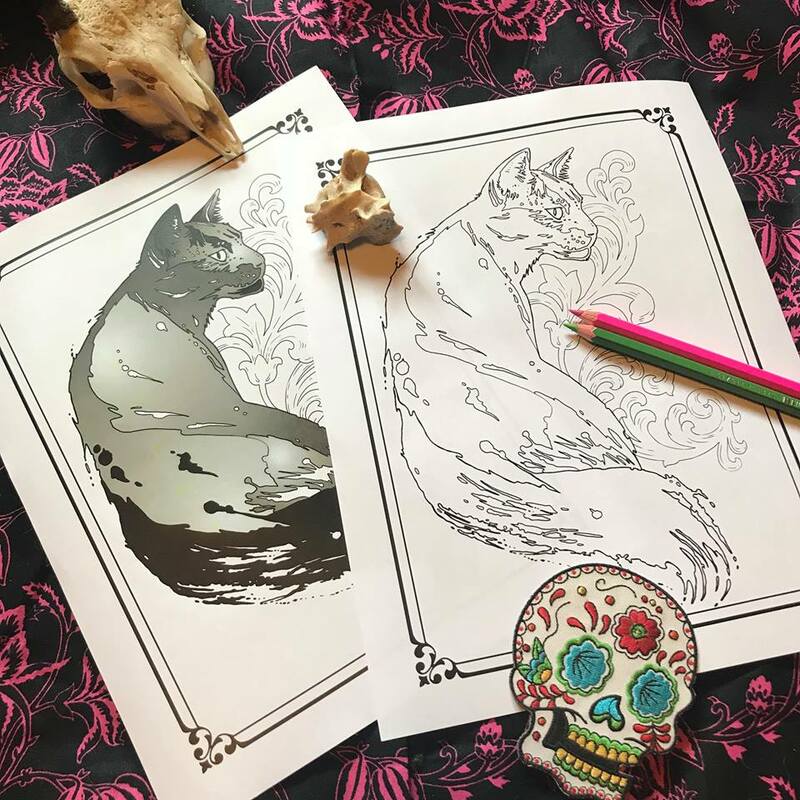 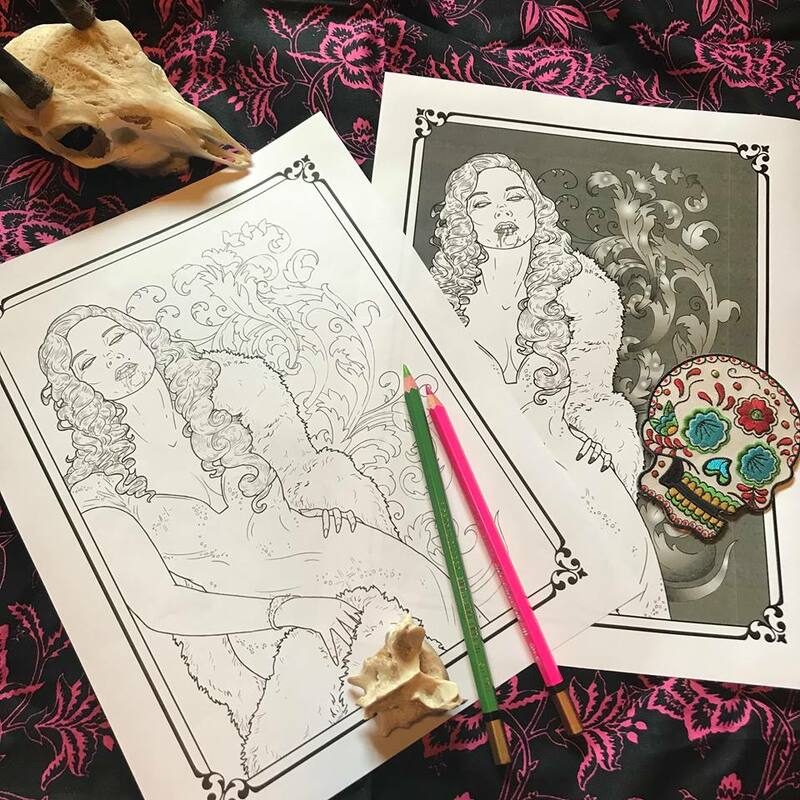 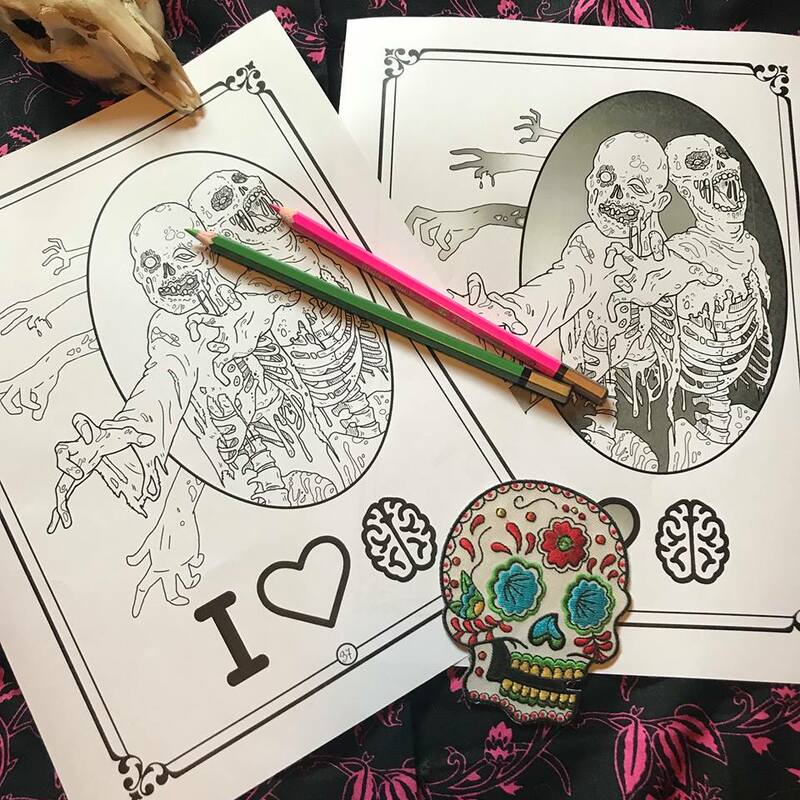 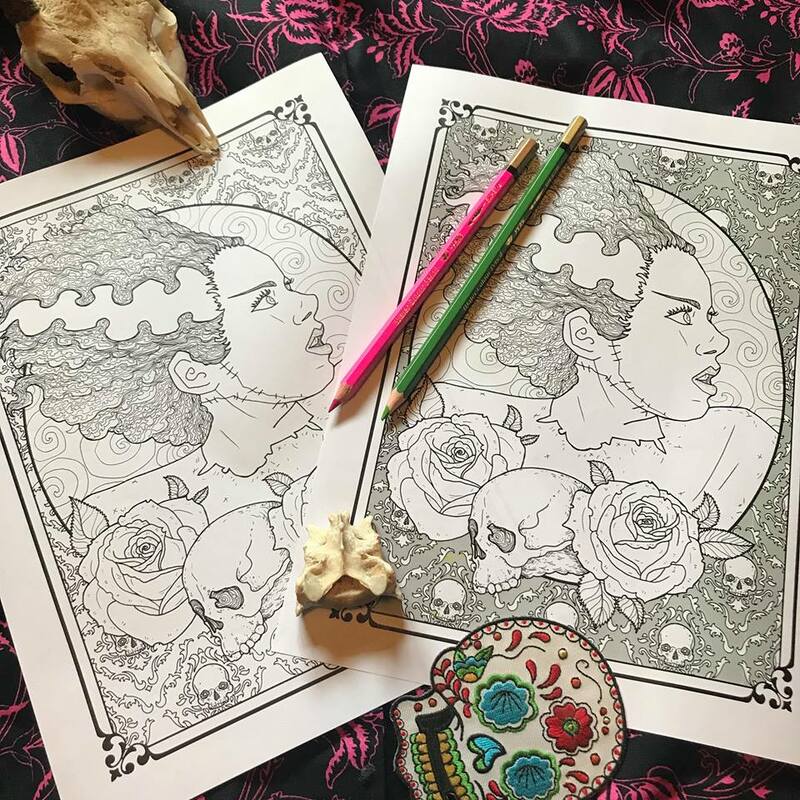 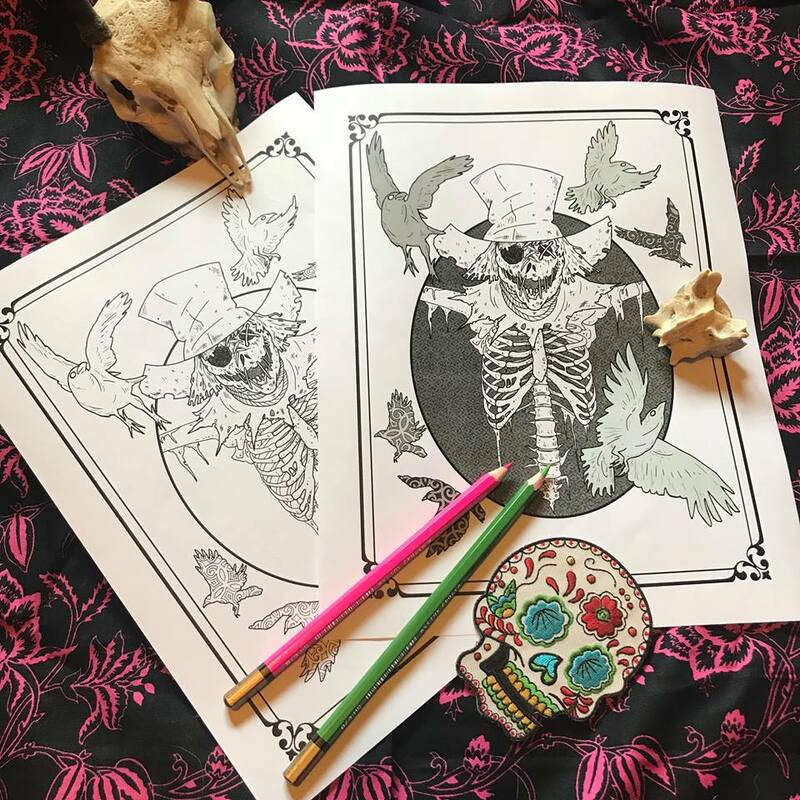 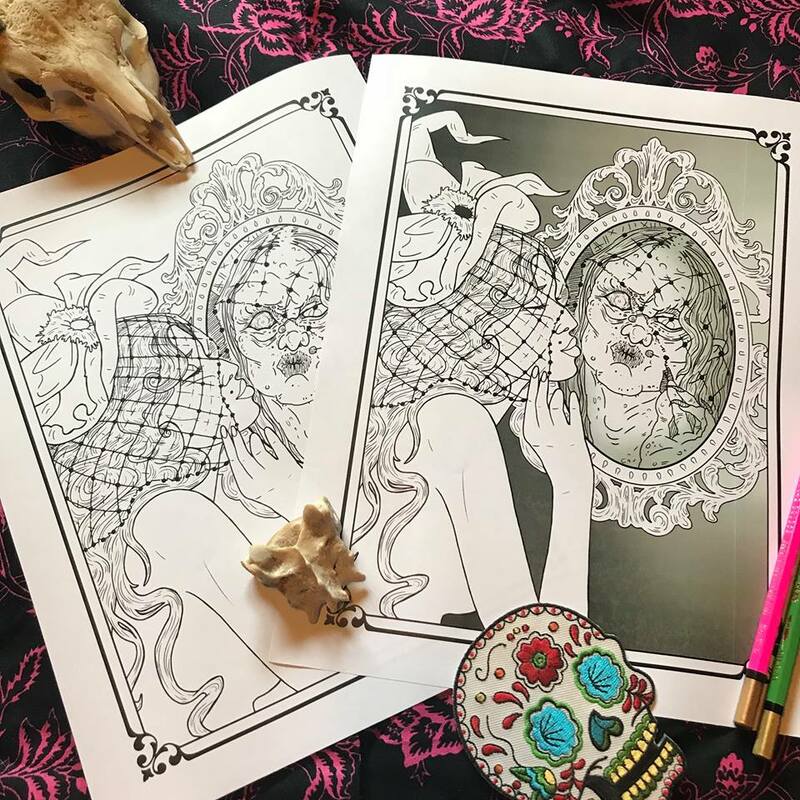 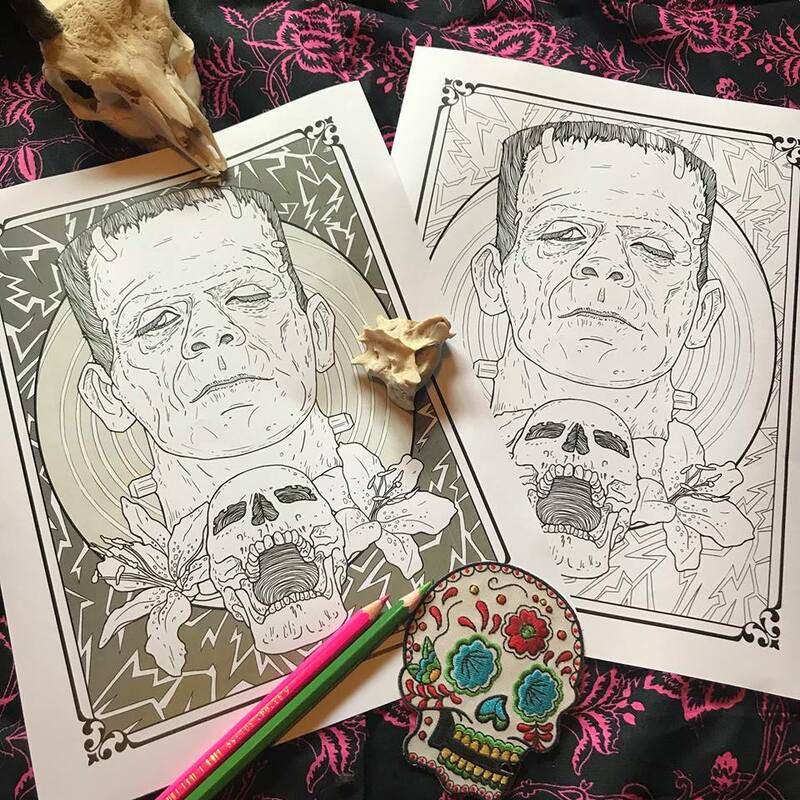 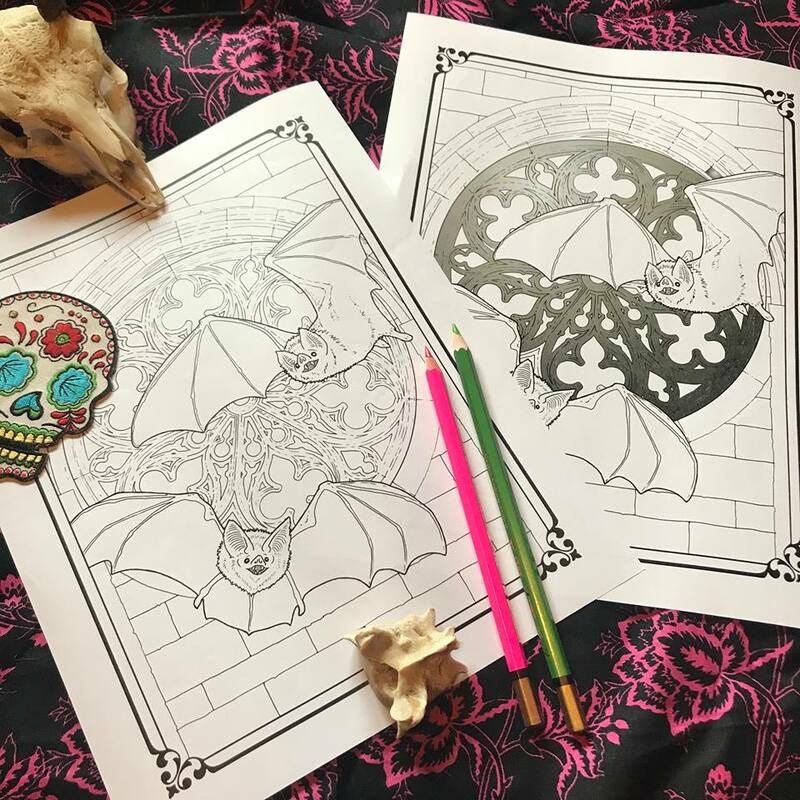 To celebrate my favorite holiday, I created characters that will entertain, intrigue, mesmerize and maybe even scare you on your coloring journey. 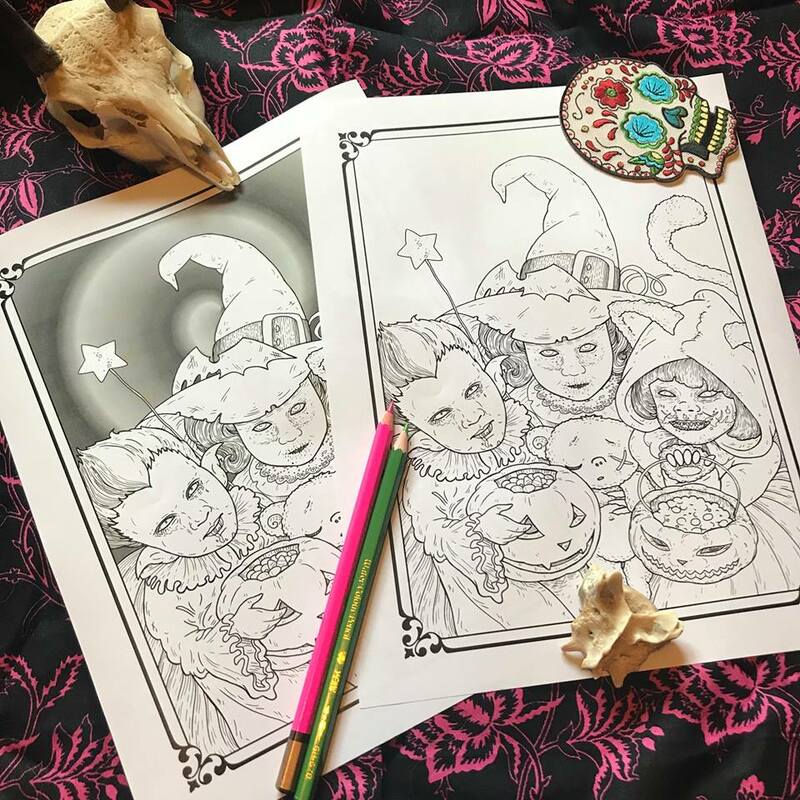 Each page appears twice in this book: once in its basic line form and once with added greyscale effects. 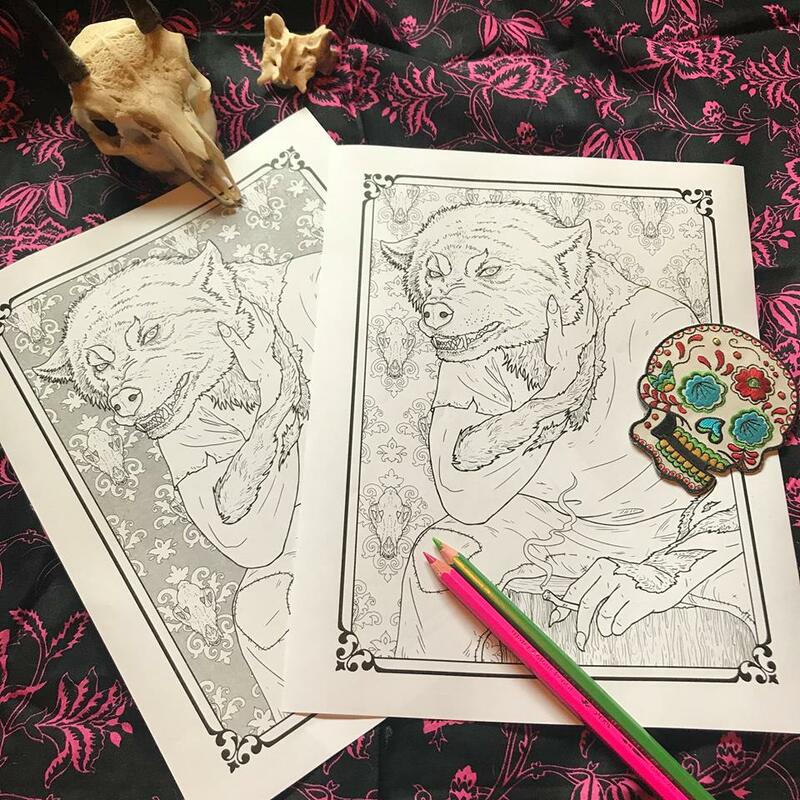 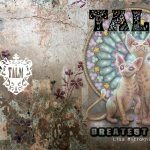 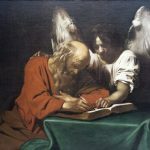 You may choose to use the secondary images as references for color placement, color them as well as the line drawings, or you may simply enjoy them as free-standing illustrations. 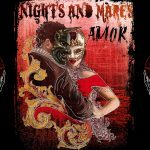 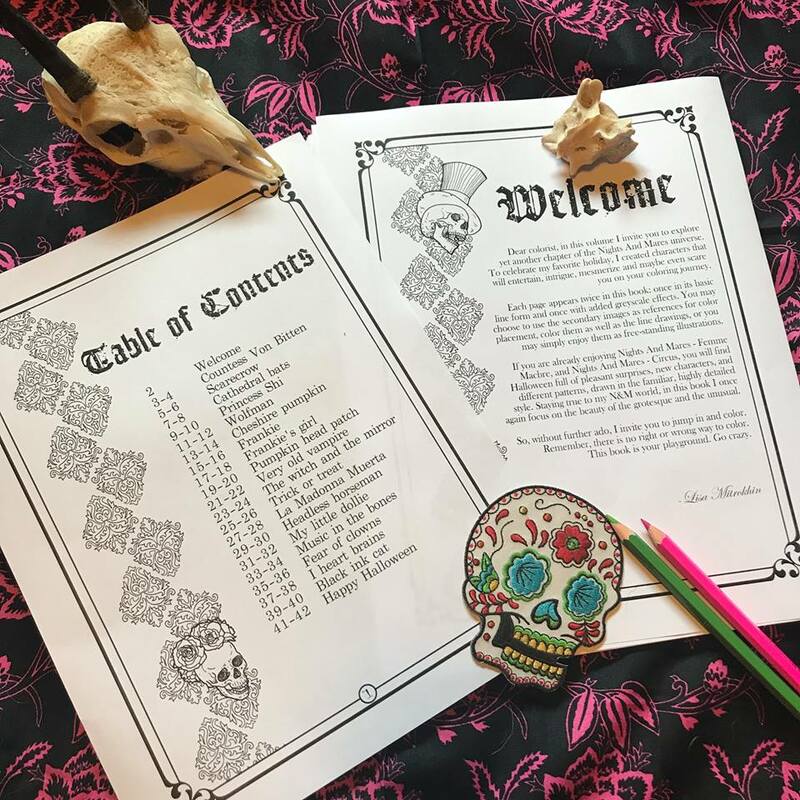 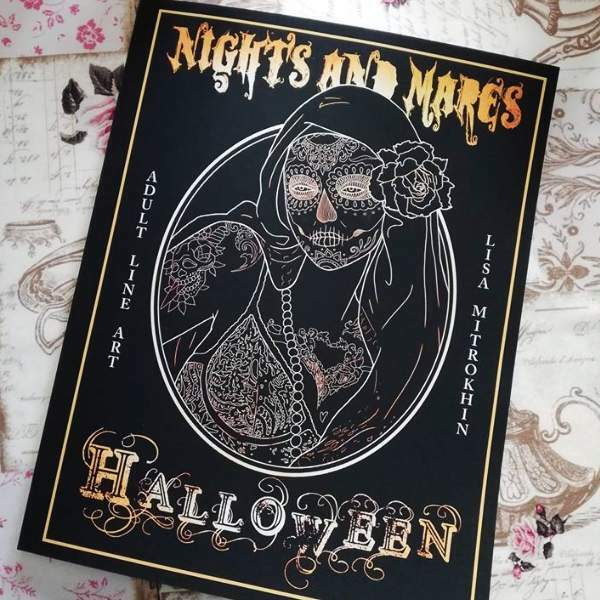 If you are already enjoying Nights And Mares – Femme Macbre, and Nights And Mares – Circus, you will find Halloween full of pleasant surprises, new characters, and different patterns, drawn in the familiar, highly detailed style. 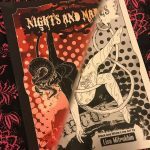 Staying true to my N&M world, in this book I once again focus on the beauty of the grotesque and the unusual. 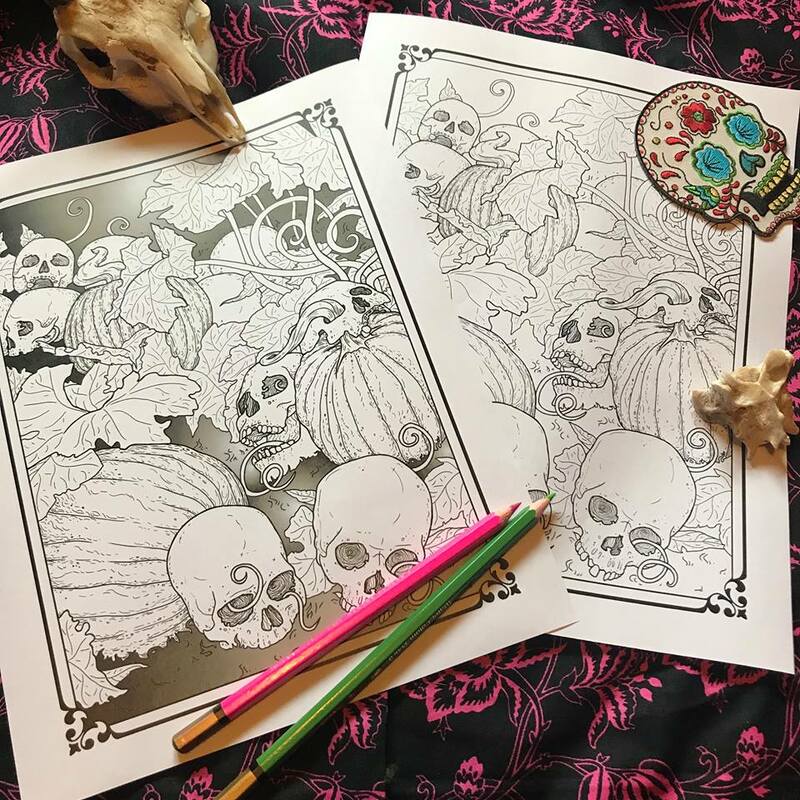 So, without further ado, I invite you to jump in and color. 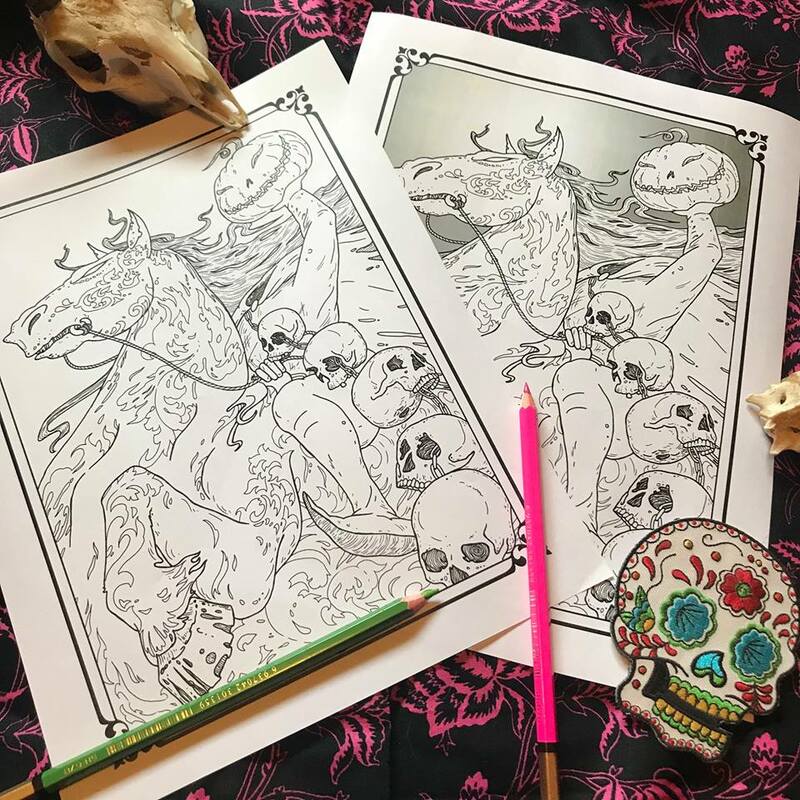 Remember, there is no right or wrong way to color. 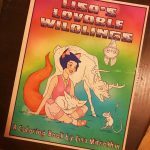 This book is your playground. 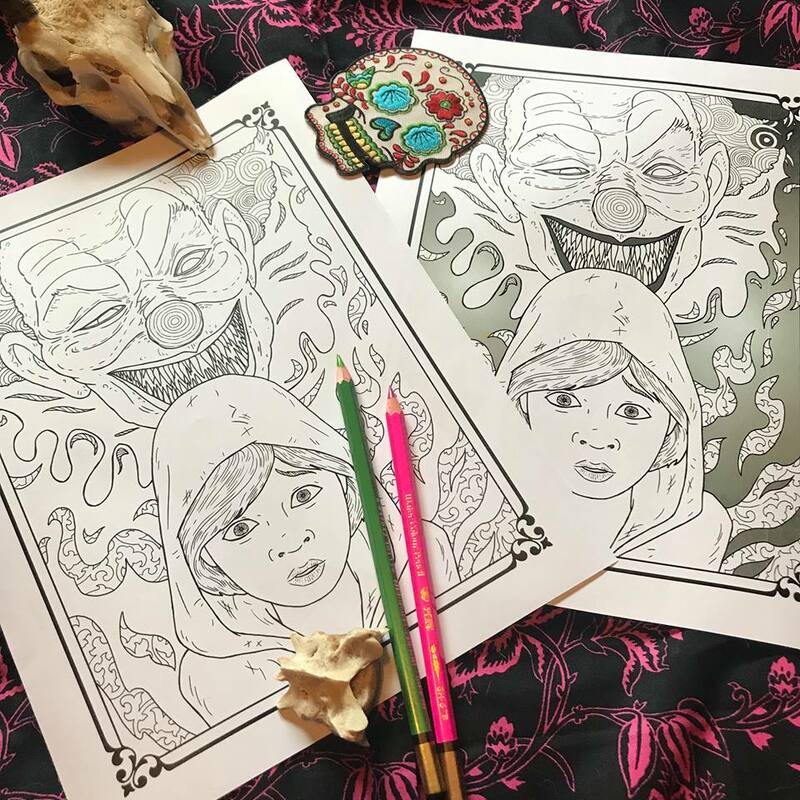 Go crazy. 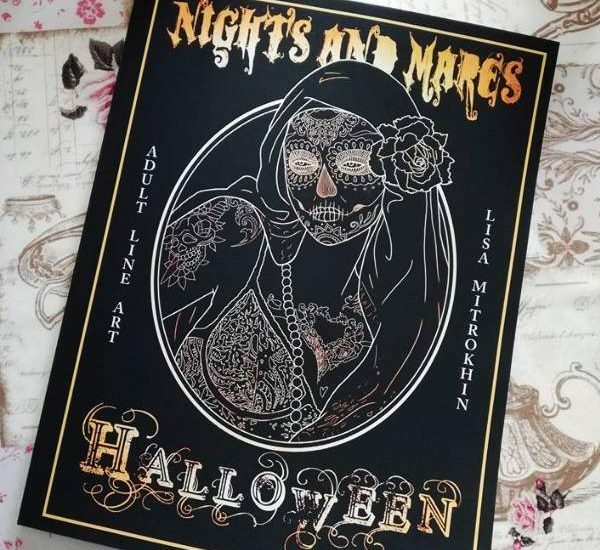 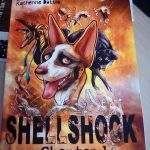 This book is available in print on Amazon and as a PDF download on ETSY.